Cuba is a country experiencing a lot of political transition and uncertainty. Over the years, we have supported and prayed for the many people who are ministering there, many have faced persecution for their faith. The people there are eager to know our Lord and who are so grateful for our friendship & prayers. Due to the sensitive nature of this country in relation to religion and for the safety of the people there, we are unable to provide many details. 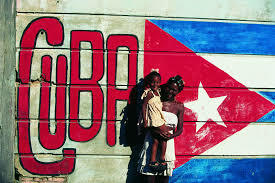 Please pray for the people of Cuba!